FUEL EFFICIENT 29 MPG Hwy/20 MPG City! GL1 trim. Aluminum Wheels, CD Player, SPOILER, REAR, SEAT ADJUSTER, POWER, DRIVER 6-WAY. SEE MORE! KEY FEATURES INCLUDE CD Player, Aluminum Wheels Keyless Entry, Remote Trunk Release, Bucket Seats, Front Disc/Rear Drum Brakes, Vehicle Anti-Theft System. OPTION PACKAGES ENGINE, 3.4L 3400 V6 SFI (170 HP [126.8 KW] @ 4800 RPM, 200 LB.-FT. [270.0 N-M] @ 4000 RPM), SEAT ADJUSTER, POWER, DRIVER 6-WAY, SPOILER, REAR. Oldsmobile GL1 with SANDSTONE exterior and NEUTRAL interior features a V6 Cylinder Engine with 170 HP at 4800 RPM*. EXPERTS CONCLUDE 4 Star Driver Front Crash Rating. 4 Star Passenger Front Crash Rating. WHY BUY FROM US We have a strong and committed sales staff with many years of experience satisfying our customers' needs. Feel free to browse our inventory online, request more information about vehicles, set up a test drive or inquire about financing! Horsepower calculations based on trim engine configuration. Fuel economy calculations based on original manufacturer data for trim engine configuration. Please confirm the accuracy of the included equipment by calling us prior to purchase. Reliable. FUEL EFFICIENT 30 MPG Hwy/21 MPG City! Heated Seats, Brake Actuated Limited Slip Differential, IIHS Top Safety Pick SEE MORE! VOLKSWAGEN JETTA: UNMATCHED RELIABILITY 4 Star Driver Front Crash Rating. 5 Star Driver Side Crash Rating. KEY FEATURES ON THIS JETTA INCLUDE Heated Driver Seat, iPod/MP3 Input, CD Player, Brake Actuated Limited Slip Differential, Heated Seats MP3 Player, Keyless Entry, Remote Trunk Release, Child Safety Locks, Electronic Stability Control. Volkswagen S with Reflex Silver Metallic exterior and Art Gray interior features a 5 Cylinder Engine with 170 HP at 5700 RPM*. Fremont Care. VOLKSWAGEN JETTA: BEST IN CLASS It's hard to come up with a direct competitor for the Jetta -- few cars offer the same combination of family-friendly cabin, fun-to-drive manner, and brand-name chic. -- About.com. IIHS Top Safety Pick. Great Gas Mileage: 30 MPG Hwy. WHO WE ARE We have a strong and committed sales staff with many years of experience satisfying our customers' needs. Feel free to browse our inventory online, request more information about vehicles, set up a test drive or inquire about financing! Horsepower calculations based on trim engine configuration. Fuel economy calculations based on original manufacturer data for trim engine configuration. Please confirm the accuracy of the included equipment by calling us prior to purchase. 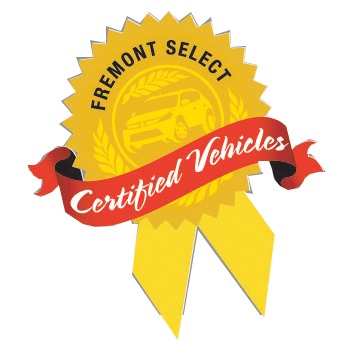 Fremont Certified, Reliable, LOW MILES - 41,797! PRICE DROP FROM $13,955, FUEL EFFICIENT 33 MPG Hwy/24 MPG City! Heated Seats CLICK NOW! KEY FEATURES INCLUDE Heated Driver Seat, Turbocharged, iPod/MP3 Input, CD Player, Onboard Communications System, Aluminum Wheels, Smart Device Integration, Heated Seats. MP3 Player, Keyless Entry, Steering Wheel Controls, Heated Mirrors, Electronic Stability Control. Volkswagen 1.8T with Tornado Red exterior and Titan Black interior features a 4 Cylinder Engine with 170 HP at 6200 RPM*. Fremont Care. AFFORDABILITY Reduced from $13,955. SHOP WITH CONFIDENCE 90 Days or 3,000 miles Pre-owned vehicle Limited Warranty, Call for details BUY FROM AN AWARD WINNING DEALER We have a strong and committed sales staff with many years of experience satisfying our customers' needs. Feel free to browse our inventory online, request more information about vehicles, set up a test drive or inquire about financing! Pricing analysis performed on 4/1/2019. Horsepower calculations based on trim engine configuration. Fuel economy calculations based on original manufacturer data for trim engine configuration. Please confirm the accuracy of the included equipment by calling us prior to purchase. Fremont Certified, Running Great, LOW MILES - 67,364! EPA 48 MPG Hwy/51 MPG City! CD Player, Keyless Start, iPod/MP3 Input AND MORE! KEY FEATURES INCLUDE Hybrid, iPod/MP3 Input, CD Player, Aluminum Wheels, Keyless Start. Rear Spoiler, MP3 Player, Keyless Entry, Steering Wheel Controls, Child Safety Locks. Toyota II with Barcelona Red Metallic exterior and Dark Gray interior features a 4 Cylinder Engine with 98 HP at 5200 RPM*. 1-Owner, Fremont Care. BUY WITH CONFIDENCE 90 Days or 3,000 miles Pre-owned vehicle Limited Warranty, Call for details WHY BUY FROM US We have a strong and committed sales staff with many years of experience satisfying our customers' needs. Feel free to browse our inventory online, request more information about vehicles, set up a test drive or inquire about financing! Pricing analysis performed on 4/16/2019. Horsepower calculations based on trim engine configuration. Fuel economy calculations based on original manufacturer data for trim engine configuration. Please confirm the accuracy of the included equipment by calling us prior to purchase. FUEL EFFICIENT 28 MPG Hwy/21 MPG City! In Good Shape. Heated Leather Seats, iPod/MP3 Input, Satellite Radio, Dual Zone A/C AND MORE! KEY FEATURES INCLUDE 4x4, Heated Driver Seat, Turbocharged, Satellite Radio, iPod/MP3 Input, Onboard Communications System, Aluminum Wheels, Dual Zone A/C, Heated Leather Seats Rear Spoiler, MP3 Player, Privacy Glass, Steering Wheel Controls, Child Safety Locks. OPTION PACKAGES 302A EQUIPMENT GROUP ORDER CODE technology pkg, passive entry/passive start (PEPS), reverse sensing system, Sony branded audio w/(10) speakers, HD Radio, remote start, cargo management system III, cargo cover, black roof side rails w/crossbars, 110V outlet, hands-free liftgate, (4) ALL-WEATHER FLOOR MATS, MEDIUM LIGHT STONE, LEATHER-TRIMMED SEAT TRIM. Ford SEL with Kodiak Brown exterior and Medium Light Stone interior features a 4 Cylinder Engine with 178 HP at 5700 RPM*. Fremont Care. BUY FROM AN AWARD WINNING DEALER We have a strong and committed sales staff with many years of experience satisfying our customers' needs. Feel free to browse our inventory online, request more information about vehicles, set up a test drive or inquire about financing! Pricing analysis performed on 4/16/2019. Horsepower calculations based on trim engine configuration. Fuel economy calculations based on original manufacturer data for trim engine configuration. Please confirm the accuracy of the included equipment by calling us prior to purchase. Fremont Certified, Extra Clean, ONLY 44,497 Miles! WAS $14,299, EPA 39 MPG Hwy/29 MPG City! Moonroof, Navigation, Heated Seats CLICK NOW! KEY FEATURES INCLUDE Navigation, Sunroof, Panoramic Roof, Heated Driver Seat, Turbocharged, Diesel, Premium Sound System, Satellite Radio, iPod/MP3 Input, Bluetooth, Aluminum Wheels, Keyless Start, Brake Actuated Limited Slip Differential, Heated Seats MP3 Player, Keyless Entry, Remote Trunk Release, Electronic Stability Control, Heated Mirrors. Volkswagen 2.0L TDI w/Sun/Sound/Nav with BLACK exterior and TITAN BLACK V-TEX interior features a 4 Cylinder Engine with 140 HP*. Non-Smoker vehicle, Free oil changes and one tire rotation. PRICED TO MOVE Reduced from $14,299. PURCHASE WITH CONFIDENCE 90 Days or 3,000 miles Pre-owned vehicle Limited Warranty, Call for details MORE ABOUT US Welcome to Fremont Motor Company - Lander! Located in Lander, WY, Fremont Motor Company - Lander is proud to be one of the premier dealerships in the area. From the moment you walk into our showroom, you'll know our commitment to Customer Service is second to none. We strive to make your experience with Fremont Motor Company - Lander a good one - for the life of your vehicle. Pricing analysis performed on 3/23/2019. Horsepower calculations based on trim engine configuration. Fuel economy calculations based on original manufacturer data for trim engine configuration. Please confirm the accuracy of the included equipment by calling us prior to purchase. Fremont Certified, Spotless, GREAT MILES 59,098! EPA 35 MPG Hwy/25 MPG City! CD Player, Bluetooth, iPod/MP3 Input, Fremont Care AND MORE! KEY FEATURES INCLUDE iPod/MP3 Input, Bluetooth, CD Player MP3 Player, Remote Trunk Release, Keyless Entry, Steering Wheel Controls, Child Safety Locks. Toyota LE with Super White exterior and Ash interior features a 4 Cylinder Engine with 178 HP at 6000 RPM*. Fremont Care. BUY WITH CONFIDENCE AutoCheck One Owner 90 Days or 3,000 miles Pre-owned vehicle Limited Warranty, Call for details VISIT US TODAY We have a strong and committed sales staff with many years of experience satisfying our customers' needs. Feel free to browse our inventory online, request more information about vehicles, set up a test drive or inquire about financing! Pricing analysis performed on 4/1/2019. Horsepower calculations based on trim engine configuration. Fuel economy calculations based on original manufacturer data for trim engine configuration. Please confirm the accuracy of the included equipment by calling us prior to purchase. Fremont Certified, Extra Clean, ONLY 49,366 Miles! EPA 31 MPG Hwy/19 MPG City! V6 PERFORMANCE PKG, 3.7L 4V TI-VCT V6 ENGINE CLICK ME! KEY FEATURES INCLUDE CD Player Keyless Entry, Electronic Stability Control, Bucket Seats, 4-Wheel ABS, HID headlights. OPTION PACKAGES V6 PERFORMANCE PKG strut tower brace, larger front sway bar, SVT rear sway bar, unique front springs, unique front/rear calipers, 19 x 8.5 foundry black painted machined aluminum wheels, 255/40R19 summer tires, unique stability control calibration, gloss black side mirrors, 3.31 limited slip rear axle, tire mobility kit, 102A EQUIPMENT GROUP ORDER CODE fog lamps, 6-way pwr driver seat, auto-dimming rearview mirror, SYNC voice activated communications & entertainment system w/Bluetooth capability, steering wheel audio controls, USB port, audio input jack, 911 assist, vehicle health report, turn-by-turn navigation, real-time traffic, 6-SPEED SELECT SHIFT AUTOMATIC TRANSMISSION, SECURITY PKG active anti-theft system, wheel locks, reverse sensing system, 3.7L 4V TI-VCT V6 ENGINE (STD). Ford V6 with Black exterior and Medium Stone interior features a V6 Cylinder Engine with 305 HP at 6500 RPM*. FREMONT CARE. BUY WITH CONFIDENCE 90 Days or 3,000 miles Pre-owned vehicle Limited Warranty, Call for details VISIT US TODAY Welcome to Fremont Motor Company - Lander! Located in Lander, WY, Fremont Motor Company - Lander is proud to be one of the premier dealerships in the area. From the moment you walk into our showroom, you'll know our commitment to Customer Service is second to none. We strive to make your experience with Fremont Motor Company - Lander a good one - for the life of your vehicle. Pricing analysis performed on 4/9/2019. Horsepower calculations based on trim engine configuration. Fuel economy calculations based on original manufacturer data for trim engine configuration. Please confirm the accuracy of the included equipment by calling us prior to purchase. ONLY 10,398 Miles! 1.4T SE trim. FUEL EFFICIENT 38 MPG Hwy/28 MPG City!, $400 below NADA Retail! Moonroof, Heated Seats, CD Player CLICK NOW! KEY FEATURES INCLUDE Sunroof, Heated Driver Seat, Back-Up Camera, Turbocharged, Satellite Radio, iPod/MP3 Input, CD Player, Onboard Communications System, Aluminum Wheels, Keyless Start, Smart Device Integration, Blind Spot Monitor, Cross-Traffic Alert, Heated Seats MP3 Player, Keyless Entry, Steering Wheel Controls, Child Safety Locks, Heated Mirrors. Volkswagen 1.4T SE with PURE WHITE exterior and BLACK LEATHERETTE interior features a 4 Cylinder Engine with 150 HP at 5000 RPM*. EXCELLENT VALUE This Jetta is priced $400 below NADA Retail. WHO WE ARE We have a strong and committed sales staff with many years of experience satisfying our customers' needs. Feel free to browse our inventory online, request more information about vehicles, set up a test drive or inquire about financing! Pricing analysis performed on 4/19/2019. Horsepower calculations based on trim engine configuration. Fuel economy calculations based on original manufacturer data for trim engine configuration. Please confirm the accuracy of the included equipment by calling us prior to purchase. EPA 38 MPG Hwy/32 MPG City! Excellent Condition, Fremont Certified, GREAT MILES 12,638! Moonroof, CD Player, Keyless Start CLICK NOW! KEY FEATURES INCLUDE Sunroof, Back-Up Camera, iPod/MP3 Input, Bluetooth, CD Player, Aluminum Wheels, Keyless Start, Smart Device Integration. Rear Spoiler, MP3 Player, Keyless Entry, Steering Wheel Controls, Child Safety Locks. Honda EX with Mystic Yellow Pearl exterior and Black interior features a 4 Cylinder Engine with 130 HP at 6600 RPM*. FREMONT CARE, No Accidents. BUY WITH CONFIDENCE 90 Days or 3,000 miles Pre-owned vehicle Limited Warranty, Call for details OUR OFFERINGS Welcome to Fremont Motor Company - Lander! Located in Lander, WY, Fremont Motor Company - Lander is proud to be one of the premier dealerships in the area. From the moment you walk into our showroom, you'll know our commitment to Customer Service is second to none. We strive to make your experience with Fremont Motor Company - Lander a good one - for the life of your vehicle. Pricing analysis performed on 4/5/2019. Horsepower calculations based on trim engine configuration. Fuel economy calculations based on original manufacturer data for trim engine configuration. Please confirm the accuracy of the included equipment by calling us prior to purchase. FUEL EFFICIENT 36 MPG Hwy/25 MPG City! Blind Spot Monitor, Onboard Communications System, Smart Device Integration, Back-Up Camera SEE MORE! KEY FEATURES INCLUDE Back-Up Camera, Satellite Radio, iPod/MP3 Input, Onboard Communications System, Aluminum Wheels, Blind Spot Monitor, Cross-Traffic Alert, Smart Device Integration MP3 Player, Keyless Entry, Remote Trunk Release, Steering Wheel Controls, Child Safety Locks. MORE ABOUT US We have a strong and committed sales staff with many years of experience satisfying our customers' needs. Feel free to browse our inventory online, request more information about vehicles, set up a test drive or inquire about financing! Fuel economy calculations based on original manufacturer data for trim engine configuration. Please confirm the accuracy of the included equipment by calling us prior to purchase. FUEL EFFICIENT 29 MPG Hwy/22 MPG City! Fremont Certified, Excellent Condition. Heated Leather Seats, Satellite Radio, Bluetooth CLICK ME! KEY FEATURES INCLUDE Leather Seats, 4x4, Power Liftgate, Heated Driver Seat, Back-Up Camera, Premium Sound System, Satellite Radio, iPod/MP3 Input, Bluetooth, Aluminum Wheels, Remote Engine Start, Dual Zone A/C, Hands-Free Liftgate, WiFi Hotspot, Brake Actuated Limited Slip Differential. Rear Spoiler, MP3 Player, Remote Trunk Release, Privacy Glass, Keyless Entry. OPTION PACKAGES ENGINE: 2.0L ECOBOOST GVWR: 4,840 lbs, 3.07 Axle Ratio. Ford Titanium with Ingot Silver exterior and Medium Light Stone interior features a 4 Cylinder Engine with 231 HP at 5500 RPM*. Free oil changes and one tire rotation. SHOP WITH CONFIDENCE 90 Days or 3,000 miles Pre-owned vehicle Limited Warranty, Call for details WHO WE ARE Welcome to Fremont Motor Company - Lander! Located in Lander, WY, Fremont Motor Company - Lander is proud to be one of the premier dealerships in the area. From the moment you walk into our showroom, you'll know our commitment to Customer Service is second to none. We strive to make your experience with Fremont Motor Company - Lander a good one - for the life of your vehicle. Pricing analysis performed on 3/31/2019. Horsepower calculations based on trim engine configuration. Fuel economy calculations based on original manufacturer data for trim engine configuration. Please confirm the accuracy of the included equipment by calling us prior to purchase. GREAT MILES 9,375! PRICED TO MOVE $400 below NADA Retail!, FUEL EFFICIENT 40 MPG Hwy/31 MPG City! Bluetooth, iPod/MP3 Input READ MORE! KEY FEATURES INCLUDE Back-Up Camera, iPod/MP3 Input, Bluetooth MP3 Player, Keyless Entry, Child Safety Locks, Steering Wheel Controls, Electronic Stability Control. Honda LX with Rallye Red exterior and Black interior features a 4 Cylinder Engine with 158 HP at 6500 RPM*. A GREAT TIME TO BUY This Civic Sedan is priced $400 below NADA Retail. OUR OFFERINGS We have a strong and committed sales staff with many years of experience satisfying our customers' needs. Feel free to browse our inventory online, request more information about vehicles, set up a test drive or inquire about financing! Pricing analysis performed on 4/19/2019. Horsepower calculations based on trim engine configuration. Fuel economy calculations based on original manufacturer data for trim engine configuration. Please confirm the accuracy of the included equipment by calling us prior to purchase. PRICE DROP FROM $19,866, FUEL EFFICIENT 25 MPG Hwy/21 MPG City! Fremont Certified, Extra Clean. Satellite Radio, iPod/MP3 Input READ MORE! KEY FEATURES INCLUDE All Wheel Drive, Back-Up Camera, Satellite Radio, iPod/MP3 Input, Bluetooth, Aluminum Wheels Rear Spoiler, MP3 Player, Keyless Entry, Privacy Glass, Steering Wheel Controls. Kia LX with Hyper Red exterior and Black interior features a 4 Cylinder Engine with 181 HP at 6000 RPM*. Fremont Care. PRICED TO MOVE Was $19,866. BUY WITH CONFIDENCE AutoCheck One Owner 90 Days or 3,000 miles Pre-owned vehicle Limited Warranty, Call for details OUR OFFERINGS We have a strong and committed sales staff with many years of experience satisfying our customers' needs. Feel free to browse our inventory online, request more information about vehicles, set up a test drive or inquire about financing! Pricing analysis performed on 4/1/2019. Horsepower calculations based on trim engine configuration. Fuel economy calculations based on original manufacturer data for trim engine configuration. Please confirm the accuracy of the included equipment by calling us prior to purchase. Fremont Certified, Excellent Condition. WAS $19,999, PRICED TO MOVE $1,100 below NADA Retail!, EPA 24 MPG Hwy/16 MPG City! Third Row Seat AND MORE! KEY FEATURES INCLUDE Third Row Seat, All Wheel Drive, Satellite Radio, iPod/MP3 Input, Bluetooth, CD Player, Aluminum Wheels, Keyless Start MP3 Player, Keyless Entry, Privacy Glass, Steering Wheel Controls, Child Safety Locks. OPTION PACKAGES QUICK ORDER PACKAGE 28V CROSSROAD PLUS Engine: 3.6L V6 24V VVT, Transmission: 6-Speed Automatic 62TE, Premium Door Trim Panel w/Stitching, Passenger In Seat Cushion Storage, Interior Observation Mirror, Front Passenger Forward Fold Flat Seat, Crossroad Equipment Group, ATC w/3 Zone Temp Control, 8.4 Touchscreen Display, Cargo Net, Power 4-Way Driver Lumber Adjust, Power 6-Way Driver Seat, ENGINE: 3.6L V6 24V VVT (STD), TRANSMISSION: 6-SPEED AUTOMATIC 62TE (STD). Dodge Crossroad Plus with Pitch Black Clearcoat exterior and Black interior features a V6 Cylinder Engine with 283 HP at 6350 RPM*. Free oil changes and one tire rotation. AFFORDABILITY Was $19,999. This Journey is priced $1,100 below NADA Retail. PURCHASE WITH CONFIDENCE 90 Days or 3,000 miles Pre-owned vehicle Limited Warranty, Call for details WHO WE ARE Welcome to Fremont Motor Company - Lander! Located in Lander, WY, Fremont Motor Company - Lander is proud to be one of the premier dealerships in the area. From the moment you walk into our showroom, you'll know our commitment to Customer Service is second to none. We strive to make your experience with Fremont Motor Company - Lander a good one - for the life of your vehicle. Pricing analysis performed on 4/11/2019. Horsepower calculations based on trim engine configuration. Fuel economy calculations based on original manufacturer data for trim engine configuration. Please confirm the accuracy of the included equipment by calling us prior to purchase. Fremont Certified, Very Nice. PRICE DROP FROM $23,307. Heated Leather Seats, Entertainment System, Third Row Seat, Moonroof AND MORE! KEY FEATURES INCLUDE Leather Seats, Third Row Seat, All Wheel Drive, Quad Bucket Seats, Power Liftgate, Rear Air, Heated Driver Seat, Back-Up Camera, Onboard Communications System, Aluminum Wheels, Remote Engine Start, Dual Zone A/C, Heated Seats, Heated Leather Seats. Rear Spoiler, Rear Seat Audio Controls, Keyless Entry, Privacy Glass, Remote Trunk Release. OPTION PACKAGES AUDIO SYSTEM, COLOR TOUCH RADIO WITH INTELLILINK AND REAR SEAT ENTERTAINMENT 6.5 diagonal touch-screen display, AM/FM/SiriusXM/HD radio with CD/DVD player and auxiliary input jack, includes Bluetooth, SUNROOF, DUAL SKYSCAPE 2-PANEL POWER WITH TILT-SLIDING FRONT AND FIXED REAR with sunscreen, TRAILERING EQUIPMENT includes (V08) heavy-duty cooling and (VR2) trailer hitch, LPO, BLACK ROOF RACK CROSS BARS, REAR SEAT ENTERTAINMENT SYSTEM rear seat DVD player with remote control, overhead display, 2 sets of 2-channel wireless infrared headphones, auxiliary audio/video input jacks, (UQS) Bose advanced 10-speaker system with 5.1 surround sound and (KV1) 3-prong household style power outlet, ENGINE, 3.6L SIDI V6 (288 hp [214.7 kW] @ 6300 rpm, 270 lb-ft of torque [364.5 N-m] @ 3400 rpm) (STD), TRANSMISSION, 6-SPEED AUTOMATIC (STD). AFFORDABILITY Was $23,307. PURCHASE WITH CONFIDENCE 90 Days or 3,000 miles Pre-owned vehicle Limited Warranty, Call for details WHO WE ARE We have a strong and committed sales staff with many years of experience satisfying our customers' needs. Feel free to browse our inventory online, request more information about vehicles, set up a test drive or inquire about financing! Pricing analysis performed on 4/16/2019. Horsepower calculations based on trim engine configuration. Please confirm the accuracy of the included equipment by calling us prior to purchase. Dependable. WAS $22,307, PRICED TO MOVE $700 below NADA Retail! Heated Leather Seats, Turbo Charged, Aluminum Wheels, Trailer Hitch SEE MORE! KEY FEATURES INCLUDE Leather Seats, 4x4, Heated Driver Seat, Premium Sound System, Aluminum Wheels, Dual Zone A/C, Heated Seats, Heated Leather Seats. Rear Seat Audio Controls, Keyless Entry, Privacy Glass, Bucket Seats, Electrochromic rearview mirror. OPTION PACKAGES HEAVY-DUTY POWER PACKAGE includes (LBZ) Duramax 6.6L Turbo Diesel engine, (MW7) Allison 1000 6-speed automatic transmission and (G80) heavy-duty rear locking differential, ENGINE, DURAMAX 6.6L TURBO DIESEL V8 (360 hp [268.0 kW] @ 3200 rpm, 650 lb-ft of torque [881.0 N-m] @ 1600 rpm) Includes (TQ3) heavy-duty dual, 770 cold-cranking-amp batteries, (KG3) 145-amp alternator, (K47) high-capacity air cleaner and (K05) engine block heater. ), TRANSMISSION, ALLISON 1000 6-SPEED AUTOMATIC, ELECTRONICALLY CONTROLLED WITH OVERDRIVE, ELECTRONIC ENGINE GRADE BRAKING AND TOW/HAUL MODE. Includes (KNP) external transmission oil cooler, ONSTAR PLUS PACKAGE includes (U2K) XM Satellite Radio, (UE1) OnStar, and (UK3) steering-wheel mounted radio controls, TRAILERING EQUIPMENT, HEAVY-DUTY includes trailering hitch platform, 7-wire harness (harness includes wires for: park lamps, backup lamps, right turn, left turn, electric brake lead, battery and ground) with independent fused trailering circuits mated to a 7-way sealed connector, instrument panel jumper wiring harness for electric trailer brake controller Non-Smoker vehicle, Fremont Care. WHO WE ARE We have a strong and committed sales staff with many years of experience satisfying our customers' needs. Feel free to browse our inventory online, request more information about vehicles, set up a test drive or inquire about financing! Pricing analysis performed on 4/16/2019. Horsepower calculations based on trim engine configuration. Please confirm the accuracy of the included equipment by calling us prior to purchase. Extra Clean, Fremont Elite, LOW MILES - 29,727! FUEL EFFICIENT 31 MPG Hwy/19 MPG City! Heated Leather Seats, Remote Engine Start CLICK ME! KEY FEATURES INCLUDE Leather Seats, Heated Driver Seat, Back-Up Camera, Premium Sound System, Satellite Radio, iPod/MP3 Input, Onboard Communications System, Aluminum Wheels, Remote Engine Start, Dual Zone A/C, WiFi Hotspot, Smart Device Integration, Heated Seats, Heated Leather Seats. MP3 Player, Remote Trunk Release, Keyless Entry, Child Safety Locks, Steering Wheel Controls. OPTION PACKAGES ENGINE: 3.6L V6 24V VVT (STD), TRANSMISSION: 8-SPEED AUTOMATIC 845RE (STD). Chrysler 300S with Bright White Clearcoat exterior and Black interior features a V6 Cylinder Engine with 300 HP at 6350 RPM*. FREMONT CARE. PURCHASE WITH CONFIDENCE 12 Month or 12,000 miles Pre-owned vehicle Limited Warranty, Must pass a 103 point inspection, Reconditioned to our rigorous standards, Must pass a national vehicle history report BUY FROM AN AWARD WINNING DEALER Welcome to Fremont Motor Company - Lander! Located in Lander, WY, Fremont Motor Company - Lander is proud to be one of the premier dealerships in the area. From the moment you walk into our showroom, you'll know our commitment to Customer Service is second to none. We strive to make your experience with Fremont Motor Company - Lander a good one - for the life of your vehicle. Pricing analysis performed on 4/5/2019. Horsepower calculations based on trim engine configuration. Fuel economy calculations based on original manufacturer data for trim engine configuration. Please confirm the accuracy of the included equipment by calling us prior to purchase. Excellent Condition, Fremont Certified, ONLY 30,343 Miles! JUST REPRICED FROM $22,495. Bluetooth, iPod/MP3 Input, Keyless Start SEE MORE! KEY FEATURES INCLUDE Satellite Radio, iPod/MP3 Input, Bluetooth, CD Player, Aluminum Wheels, Keyless Start Rear Spoiler, MP3 Player, Keyless Entry, Remote Trunk Release, Steering Wheel Controls. OPTION PACKAGES 5.7L HEMI VVT V8 ENGINE (STD), 6-SPEED MANUAL TREMEC TRANSMISSION (STD). Dodge R/T with Black exterior and Dark Slate Gray Interior interior features a 8 Cylinder Engine with 376 HP at 5150 RPM*. FREMONT CARE. EXCELLENT VALUE Reduced from $22,495. BUY WITH CONFIDENCE 90 Days or 3,000 miles Pre-owned vehicle Limited Warranty, Call for details BUY FROM AN AWARD WINNING DEALER Welcome to Fremont Motor Company - Lander! Located in Lander, WY, Fremont Motor Company - Lander is proud to be one of the premier dealerships in the area. From the moment you walk into our showroom, you'll know our commitment to Customer Service is second to none. We strive to make your experience with Fremont Motor Company - Lander a good one - for the life of your vehicle. Pricing analysis performed on 4/8/2019. Horsepower calculations based on trim engine configuration. Please confirm the accuracy of the included equipment by calling us prior to purchase. FUEL EFFICIENT 35 MPG Hwy/28 MPG City! Fremont Certified, ONLY 334 Miles! Bluetooth, CD Player, Lane Keeping Assist, Alloy Wheels AND MORE! KEY FEATURES INCLUDE Back-Up Camera, iPod/MP3 Input, Bluetooth, CD Player, Aluminum Wheels, Lane Keeping Assist Rear Spoiler, MP3 Player, Remote Trunk Release, Keyless Entry, Child Safety Locks. Toyota SE with Black Sand Pearl exterior and Black interior features a 4 Cylinder Engine with 132 HP at 6000 RPM*. PURCHASE WITH CONFIDENCE 90 Days or 3,000 miles Pre-owned vehicle Limited Warranty, Call for details VISIT US TODAY We have a strong and committed sales staff with many years of experience satisfying our customers' needs. Feel free to browse our inventory online, request more information about vehicles, set up a test drive or inquire about financing! Pricing analysis performed on 4/16/2019. Horsepower calculations based on trim engine configuration. Fuel economy calculations based on original manufacturer data for trim engine configuration. Please confirm the accuracy of the included equipment by calling us prior to purchase.